The young French hornist was understandably nervous on that January day in 1949 as he awaited the arrival of the fabled trumpeter Miles Davis in the musicians’ locker room at New York City’s Metropolitan Opera House. He was guessing that this would probably be the first time a jazz musician or for that matter a black man had entered these 67-year-old, lily-white hallowed halls. Miles had heard about Gunther Schuller, who had in fact been recommended to him by another French hornist. But he’d never heard him play, and he wanted to check him out, get a sense of this musician, and to go over the horn parts for an upcoming recording session for which he was considering using Schuller. Born in New York on Nov. 22, 1925, Schuller grew up in a classical music family: His mother played piano, his father was a violinist with the New York Philharmonic and his grandfather had been a conductor in Germany. Schuller himself dropped out of high school at 17, soon to become principal horn with the Cincinnati Symphony Orchestra. At 19, he was a member of the Metropolitan Opera Orchestra, where he played for Bruno Walter and other maestros. He was also a member of the NBC Symphony Orchestra, where he played under Toscanini. Undaunted by such skepticism, Schuller went on to establish the first degree program in jazz at the New England Conservatory of Music, where he spent a decade as the institution’s president. His compositions fusing the classical and jazz genres were performed by major orchestras around the world. Noted jazz musicians like John Lewis and Ornette Coleman performed his music with symphonies and string quartets. Described by jazz critic Leonard Feather as “the ultimate Renaissance man of 20th century music,” Schuller had more than 200 compositions to his credit, including solo and orchestral works, chamber music, opera and jazz. He won the 1994 Pulitzer Prize for music for his orchestral piece “Of Reminiscences and Reflections,” and a MacArthur Foundation grant. 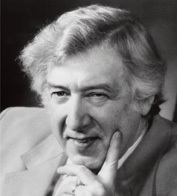 Gunther Schuller’s survivors include his sons George and Edwin, both jazz musicians.